How long will it take to publish my book? Every book and author is different and obviously our workload varies as well. For most books a month should cover it. We will give you a time estimate when we give you a quote for your manuscript. It’s a difficult question — a bit like asking how much will it cost to renovate my house! We’ve put together some like scenarios so that you have some idea. Once you have a complete (or nearly so) manuscript, we can give you a firm quote. How do I get paid? Can I get an advance? No you can’t get an advance. An advance is what a publisher pays you in return for your book rights. Payment will come from sites which sell your book, or directly to you if you sell your books directly. Somewhere between zero and a bazillion dollars. Seriously we don’t know, neither does anyone else. Don’t believe anyone if they say that they do. Some books have a larger market than others, your family history is not going to sell in the same numbers as Annabel Langbein’s latest cook book (did you realise that she is self-published?). What is fair to say is that you are unlikely to make much money unless you are prepared to put the effort in to market your book. The best book in the world won’t sell, unless it’s potential readers know about its existence. As Lis says — You can’t sell a secret! We are not accountants. We do not offer tax advice and suggest that when you start making money from your books you should consult a tax professional. However, in general if you are publishing books with the aim of making money then you need to declare you income for tax purposes. You can also claim any expenses incurred. If you earn more than $60,000/year you need to register for GST in New Zealand. The Inland Revenue site has lots of useful information, most of it in non-technical language. If you need further advice seek out a tax professional. I don't live in Wellington — can I still work with you? Yes. We have clients from as far away as France, the US and Auckland. We can talk to you long distance via Skype or communicate via email. For overseas clients we accept payment is in US$ via Paypal (you don’t need an account just a credit or debit card). For New Zealand clients we accept payment via Internet Banking (preferred) or cheque. So what is DIY Publishing? Self-Publishing? Traditional publishing? Do I need a publisher? No, you don’t. 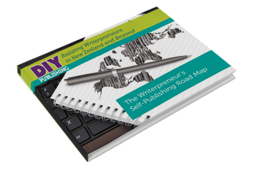 As a writer you are the most important part of the publishing industry — without your words, there is no book. The new technology means that you now can publish (for free) on the largest bookshop in the world — Amazon — plus many others (Kobo, Apple’s iBookstore, etc). This is known as self-publishing, indie publishing or the term we like, DIY publishing. Isn’t this just vanity publishing? A few years ago no one would admit to being vanity published. It was the last resort of the desperate and dateless. Now I often wonder why anyone would want to be traditionally published. Why would you sign away all your rights for years, in exchange for a few thousand dollars in advance? Can I publish a ‘real’ book — not just an eBook? For many readers, an eBook is a real book. But, yes the technology has changed so now you can publish a paperback or hardback book which is indistinguishable from one published by a traditional publisher. Print-on-demand means that a book is only printed once a customer buys it. This means that as a writer you never have to pay for stock unless you want to have a few copies on hand for your own direct selling. I tried to get my book traditionally published — but they said “there was no market” — is there any point publishing it myself? Traditional publishers have to pay a lot of people, they have to support a corporate head office, then ship the books through a distribution partner and to the bookshops. Everyone along the way needs to make money. Plus books take up shelf space. There are always new books being published — so not just does a book have to sell thousands of copies — it needs to sell them within a month or two of publishing. If, however, you publish your book on websites such as Amazon, your book can be for sale forever to a worldwide audience. Can I get my books into local bookshops? Maybe. In New Zealand bookshops are closing, or morphing into fancy stationery and card selling shops, with a few best sellers (Hunger Games, 50 Shades of Grey). Your best chance are independent bookstores, or bookshops which are independent franchises (e.g. PaperPlus). Whitcoulls and The Warehouse will most likely not stock your independently published book. Writers Plot, Readers read in Upper Hutt is one independent store that deals in independently published books. So where can I sell my book? Amazon has around 70% of the international eBook market and is the largest bookseller in the world. Kobo is particularly strong in Australia and New Zealand and allows authors to publish direct to their platform. If you have printed copies of your book you can sell these on TradeMe (they don’t accept eBooks). You can sell direct with ads in local media or perhaps a stall in your local craft market. You can sell in related shops — see if a cafe will sell, on commission, your food book. Will a travel agent sell your travel books? If you are a public speaker, or perhaps run workshops, you can sell your books at the event. Can I sell my books overseas? It doesn’t matter if you live in New York or Wellington, Christchurch or London — distance is no longer an issue. Your market is no longer the 4 million people who live in New Zealand, your market is the (english-speaking) world.